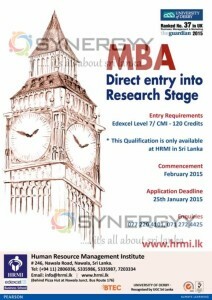 Human Resource Management Institute invites applications for the MBA Direct entry into Research Stage with Entry Requirements Edexcel Level 7/ CMI -120 Credits. 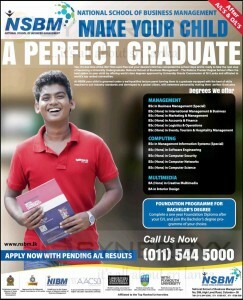 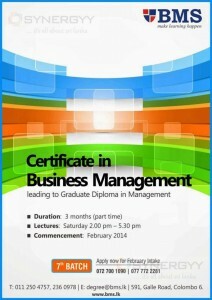 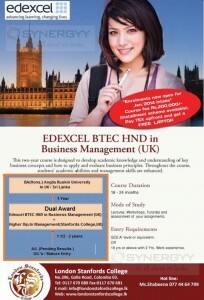 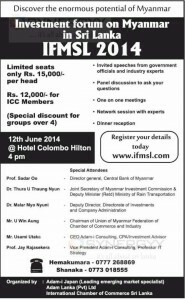 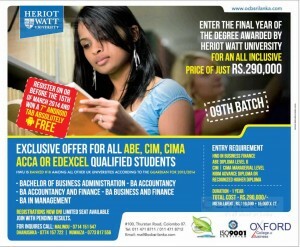 For more details contact to Human Resource Management Institute on 077 220 4101, 071 272 4425 or visit www.hrmi.lk. 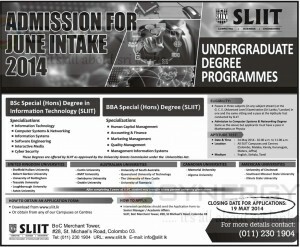 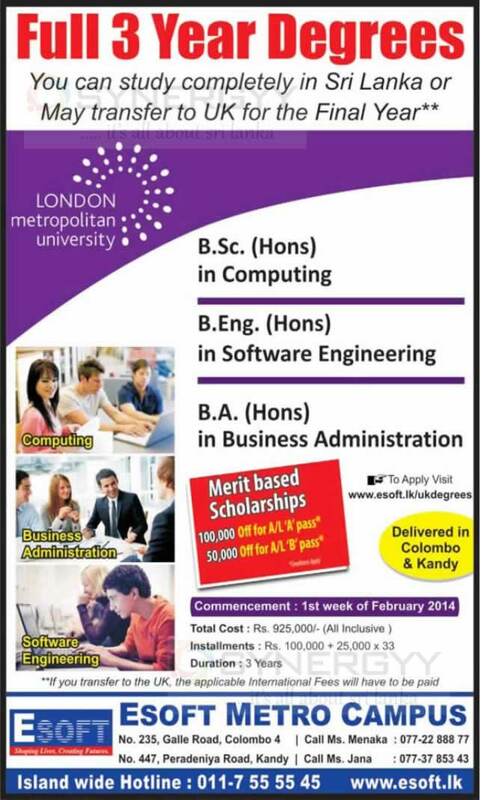 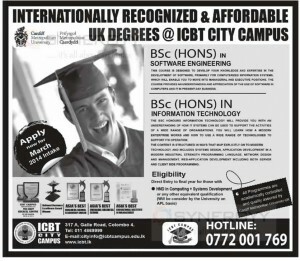 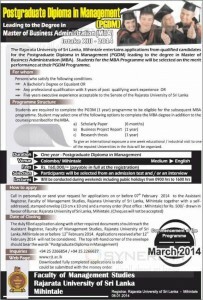 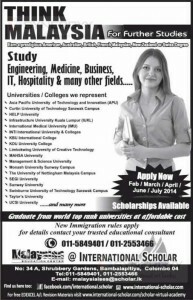 Srilanka Institute of Information Technology Invites applications for the bachelor’s degree programme for the academic year of 2014. 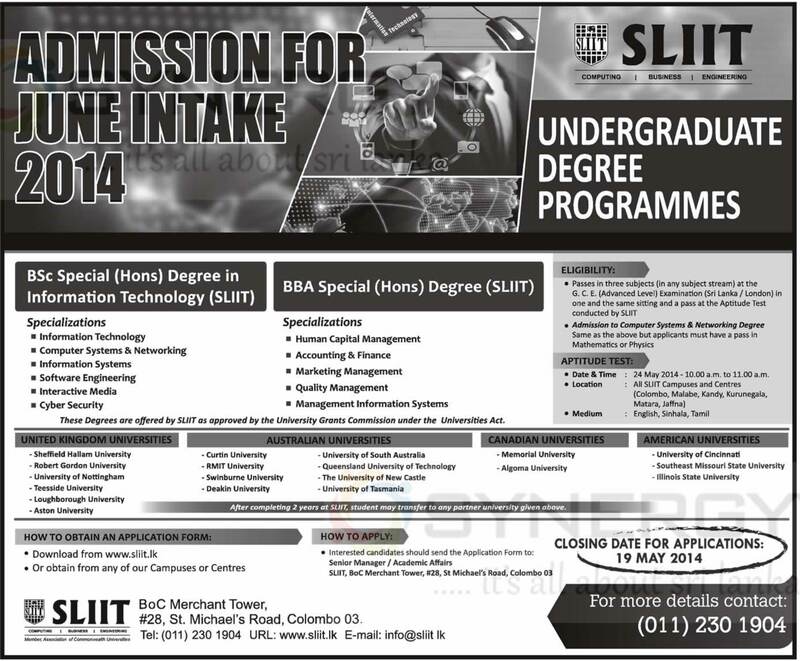 SLIIT is offering bachelors’ degree programmes in BSc Special (Hons) Degree in Information Technology and Bachelors of Business Administration special Degree. 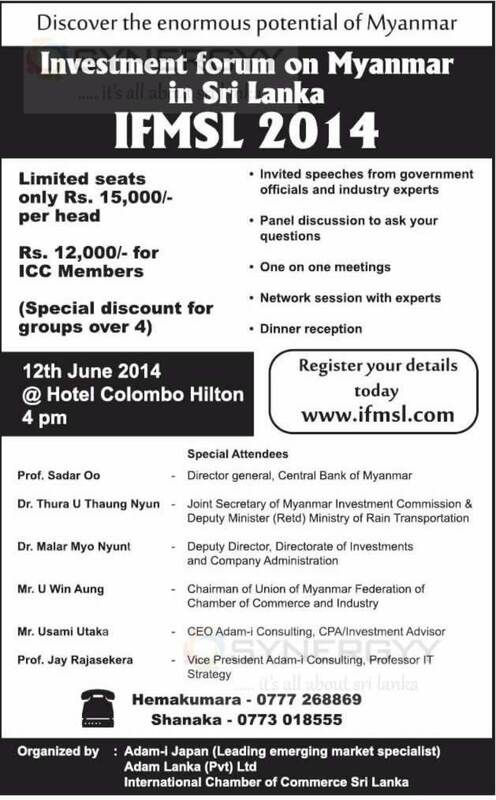 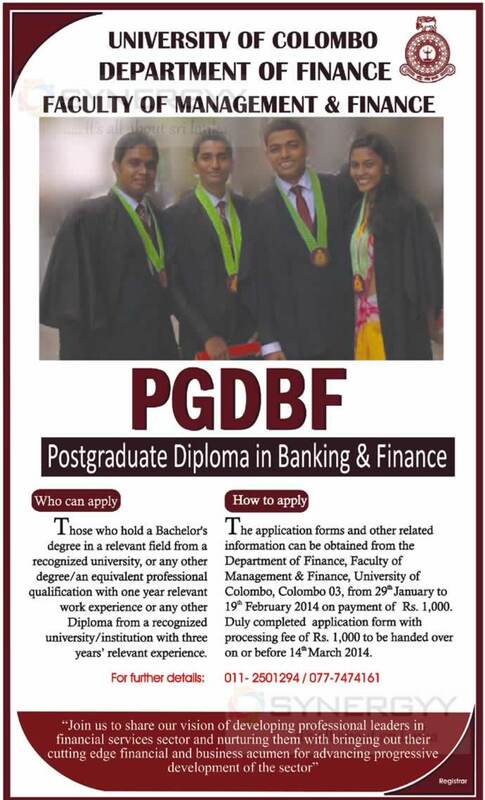 Date & Time : 24 May 2014 -10.00 a.m. to 11.00 a.m.
University of Moratuwa, Faculty of Engineering Department of Mathematics invites applicatons for the M.Sc./PG Diploma in Business Statistics -2014/2015 (MBS). Statistics is a much versatile subject which can be applied in almost any field. During the recent past, there has been an increasing demand to train staff in the Government Departments, Private Organizations, Research Institutes etc. 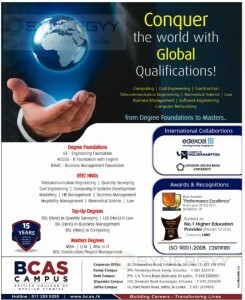 to derive inferences from primary or secondary data, for the benefit of decision making process. 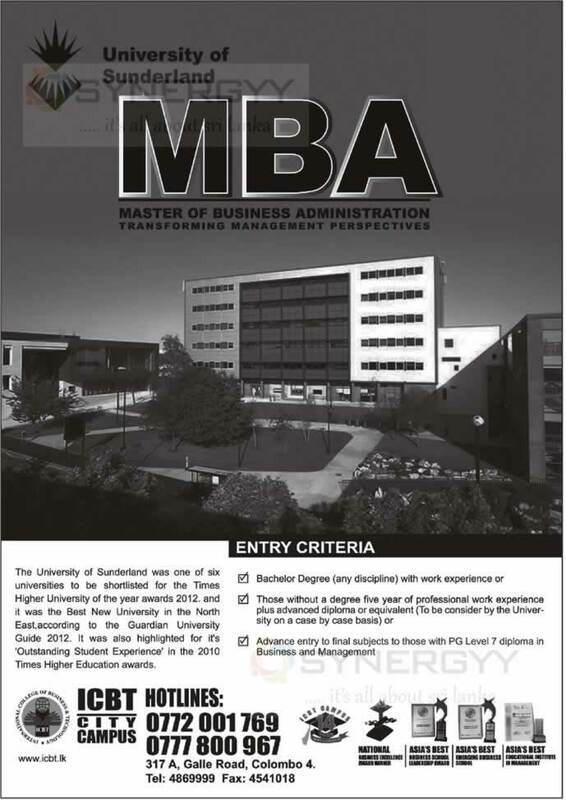 The MBS program is designed for those who wish to extend or update their knowledge through a postgraduate qualification in statistical applications in diverse fields. This program focuses to train students for excellent quantitative skills in data analysis, to derive information from data and importantly able to communicate the statistical results to others with confidence. 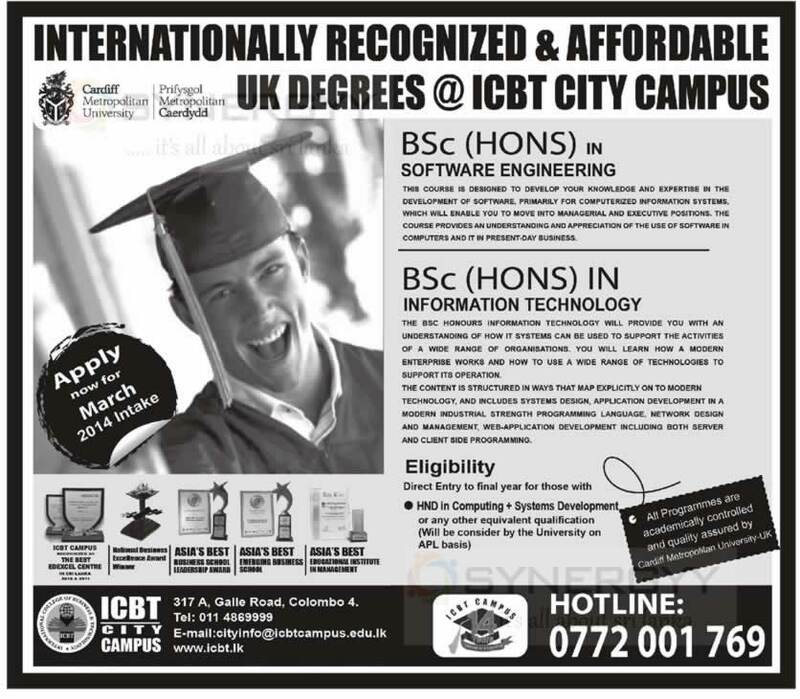 The course is structured with the combination of theory and applications in various fields of statistics including the analysis of categorical, multivariate, financial data etc. 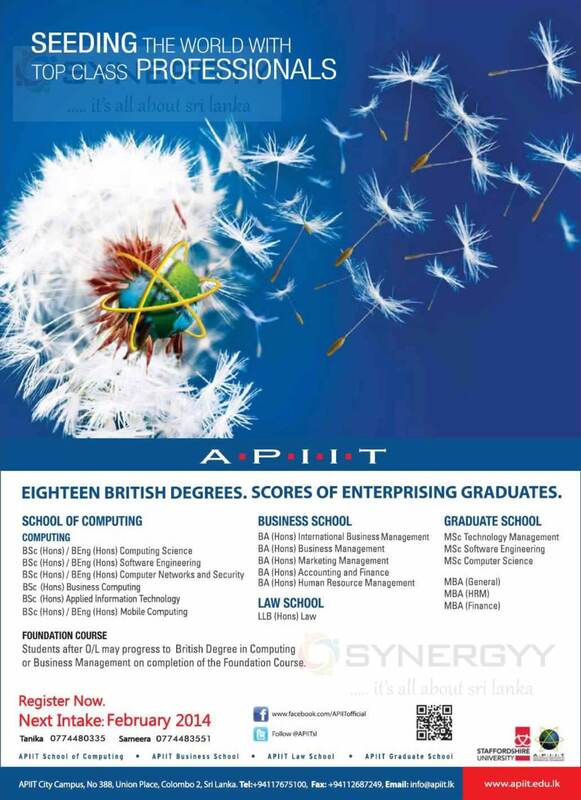 More emphasis is paid on the improvement of analytical skills in the use of statistics to real practical problems using common statistical packages. The course consists of 40 credits of course modules and 20 credits for research project. 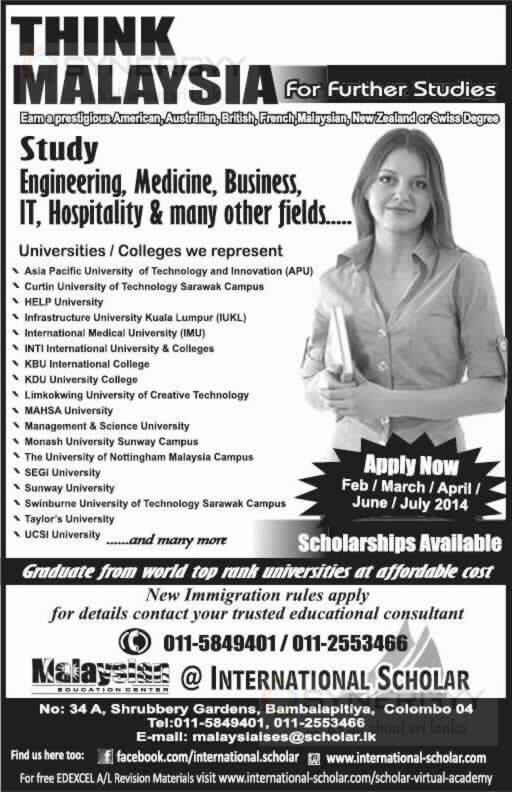 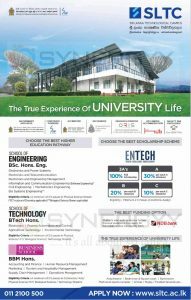 International Scholar a leading Malaysia Education Centre in Srilanka promote to study in Malaysia for Engineering, Medicine, Business, IT, Hospitality and many more degree programmes. 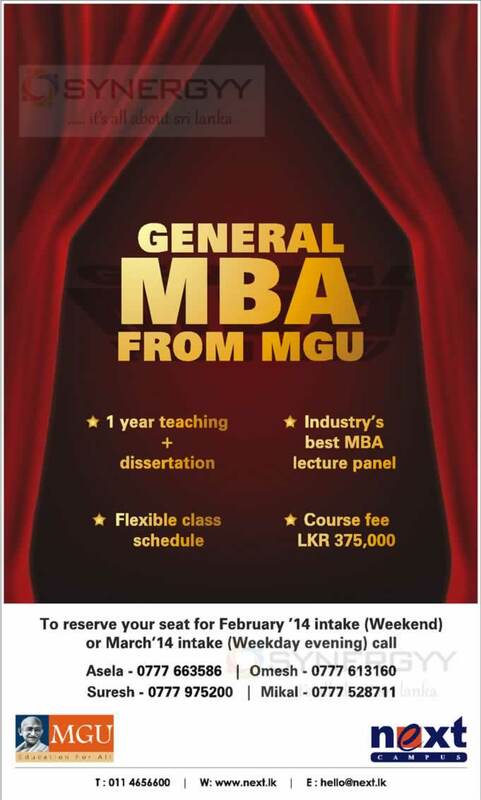 MGU (Mahatma Gandhi University) offers 12 Month General MBA Programme in Srilanka with dissertation. 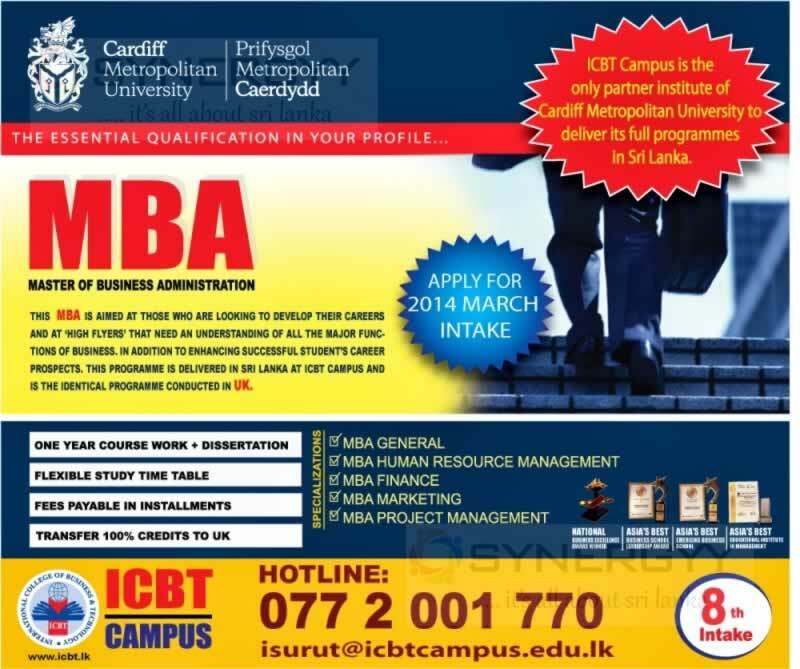 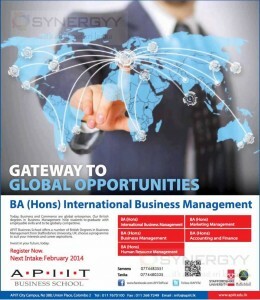 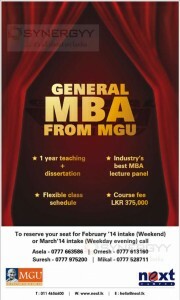 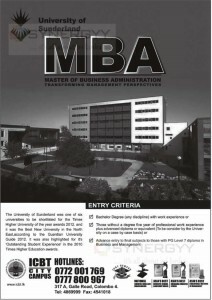 This MBA is with Industry’s best MBA lecture panel and Flexible class schedule at a Course fee of LKR 375,000. 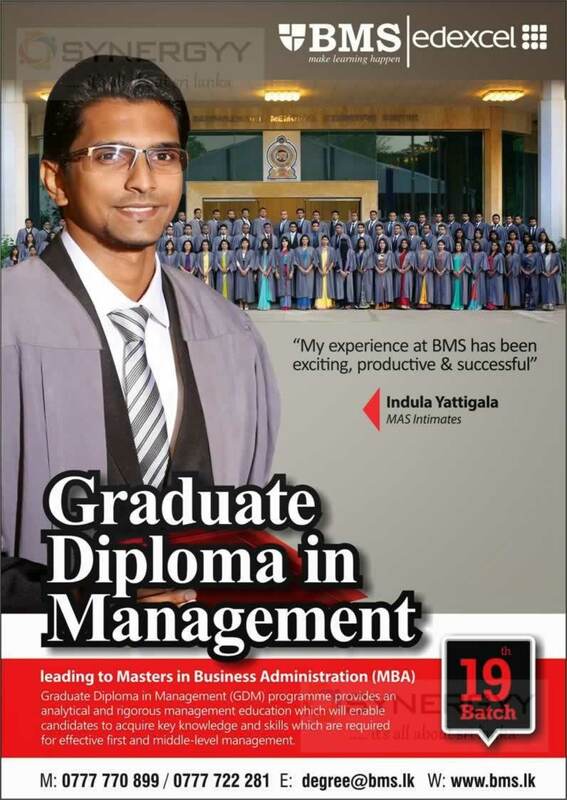 BMS Sri Lanka invites application for the Graduate Diploma in Management (GDM) Leading to Masters in Business Administration (MBA). 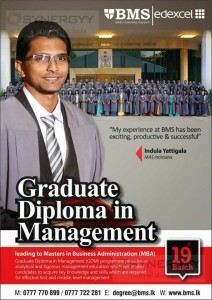 Graduate Diploma in Management (GDM) programme provides an analytical and rigorous management education which will enable candidates to acquire key knowledge and skills which are required for effective first and middle-level management. The American College of Higher Education invites applications for the American Degree Programme in Sri Lanka and USA. 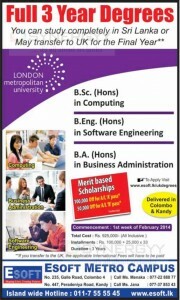 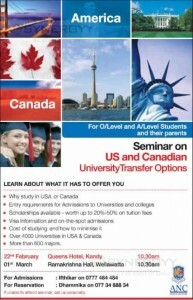 For 2 Years Education in Sri Lanka and Balance 2 Years in USA. 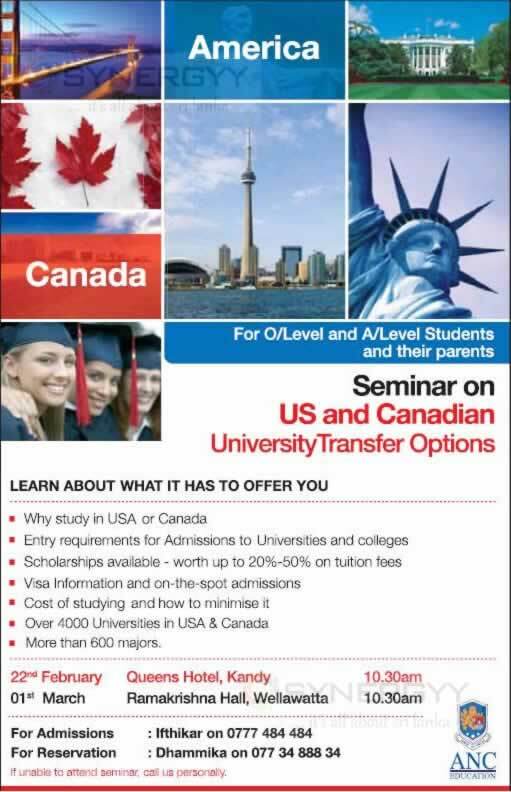 Choose from over 500 majors Transfer to over 4000 universities which Approved by Southern Association of Colleges & Schools (SACS) USA. 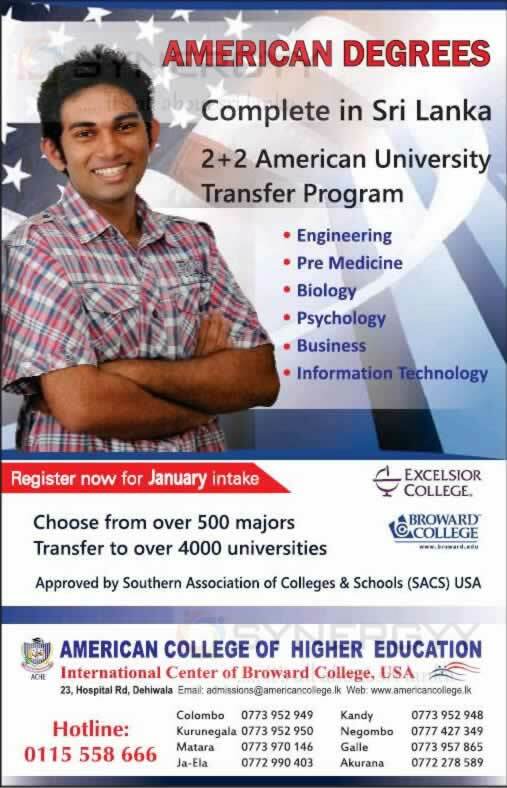 For more information visit American College of Higher Education at 23, Hospital Rd, Dehiwala. 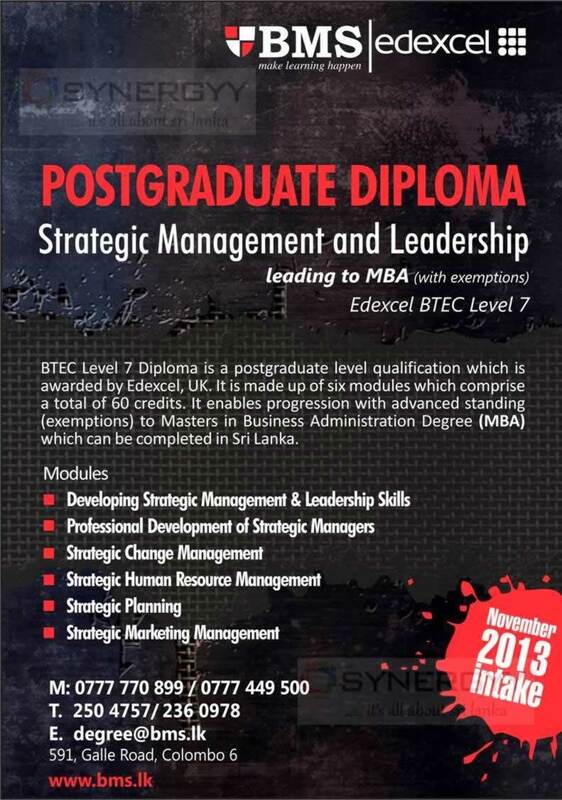 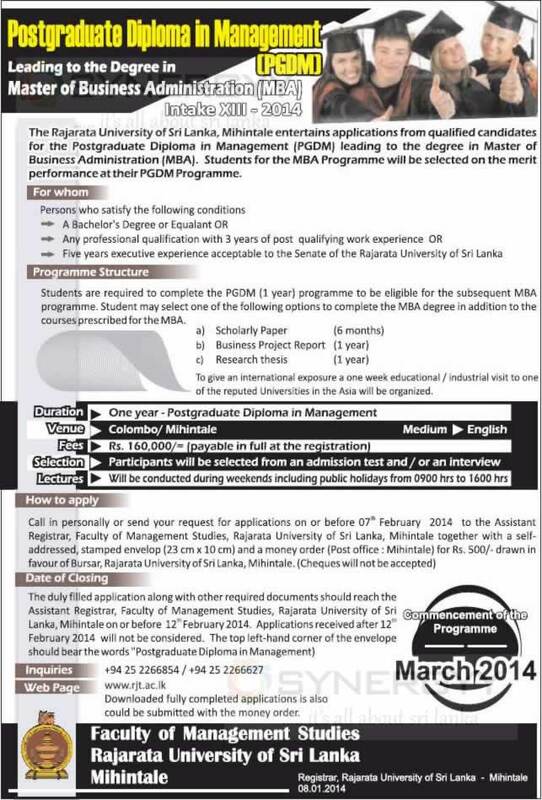 BMS invites applications for the new enrollment of Human Resource Management & Leadership Degree in Sri Lanka.